Janet Fox's THE CHARMED CHILDREN OF ROOKSKILL CASTLE was her first foray into middle-grade, and gosh, it's gone well. So many great reviews and so much wonderful reader (and gatekeeper) response! Naturally, we're thrilled that the publisher of that novel, Viking, and editor Kendra Levin want to team up with Janet again. We are pleased that they have now signed THE LAST TRUE KNIGHT, a new standalone novel, for publication next fall! My inner middle-grade reader luuurves this story, about 12-year-old Edwina, known as Weed, a girl who wants to be a knight—and who gets her chance after a tragedy, when she takes to the road to pursue her older brother's kidnapper and avenge her father's death. She is accompanied by her loyal cat and a peculiar aging knight whose magical stories not only presage the obstacles they face but hint at larger mysteries. They make their way to London, where Queen Elizabeth I reigns, picking up additional oddball travelers along the way and learning about the complexities of the wider world—and of Weed herself—as they go. Can't wait for this one to hit shelves! Congratulations, Janet! We're celebrating the release of Jennifer A. Nielsen's WRATH OF THE STORM today! We're excited for readers everywhere to be able to get their hands on this epic conclusion to her Mark of the Thief trilogy. Audrey Vernick has a truly unique sense of humor—I think you'd agree, wouldn't you? I mean, who else would write about a buffalo in kindergarten, an easy friendship between a monster who feels like an outsider and the bird who sees him for who he is, or a whale who was won by a boy at a fair and now lives in a swimming pool? Sure, she's got some more straight-up projects, novels and fictional picture books and nonfiction, too, but she's also got a whole oeuvre of hilarious kid-friendly juxtapositions (which generally lead to hilarious ideas from kids at school visits). Her latest, TAKE YOUR OCTOPUS TO SCHOOL DAY, involves a kid who isn't happy when other kids bend the rules or misinterpret the intention of things like Silly Hat Day and Backwards Day. Our protagonist does it right, and everybody else should, too! When Take Your Octopus to School Day comes along, he's pretty sure he's the only one who will comply, as his pet happens to be an octopus named Thurgood. What he learns about Thurgood—and one of his classmates, who happens to have a pet squid—blows his mind. 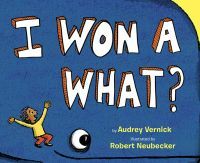 This hilarious text will be illustrated by the astounding Diana Schoenbrun and published by Katherine Harrison at Knopf, who also helmed Audrey's I WON A WHAT? Congratulations, Audrey—you've done it again! Don't you just love those soothing videos of starlings swooping in the sky? That giant group, moving together, is called a mumuration. Isn't that beautiful? Leave it to Liz Garton Scanlon to pull this together into a picture book. ONE DARK BIRD is a counting book gone wild, and the amazing Frann Preston-Gannon is going to bring this beauty to life. We're so happy that Andrea Welch at Beach Lane will be leading the way! Congratulations on another incredible project, Liz! Getting Ready for TYPEWRITER RODEO . . . 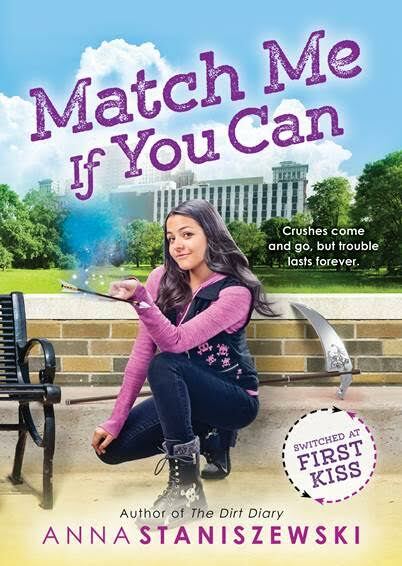 The Book Edition!!! Typewriter Rodeo . . . to know them is to love them. Am I right?? (I am right.) After all, what's not to love about a group of poets typing free on-demand poems on manual typewriters? (The answer is nothing. There is nothing not to love in this scenario!) This fabulous foursome—Jodi Egerton, David Fruchter, Kari Anne Holt, and Sean Petrie—have been wowing audiences all across the country, composing poetry at events including: the Washington DC International Antiquarian Book Fair; the Nantucket Book Festival; grand opening of the Hilton Los Cabos Beach and Golf Resort, and countless more. TYPEWRITER RODEO: THE BOOK was acquired by Patty Rice at Andrews McMeel, for publication in early 2019. 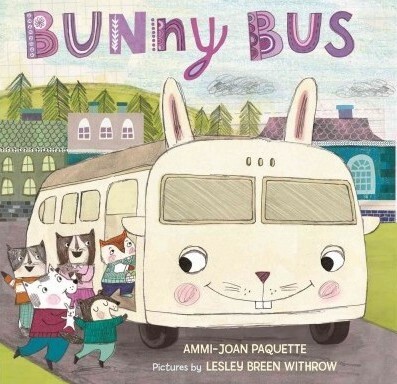 We're celebrating the release of two wonderful picture books today - Ammi-Joan Paquette's BUNNY BUS and Cynthia Levinson's THE YOUNGEST MARCHER! Please join us in welcoming these books into the world. Curtis Manley's JUST RIGHT Book Deal! It's another happy news day, people! 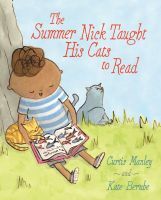 Curtis Manley is the author of the oh-so-lovable THE SUMMER NICK TAUGHT HIS CATS TO READ (Paula Wiseman, 2015), as well the forthcoming THE CRANE GIRL (Lee & Low – releasing March 1st!). Now his writing skills have taken him in an entirely different direction: out into the wilds of space! Emily Feinberg at Roaring Brook has acquired the non-fiction picture book JUST RIGHT: SEARCHING FOR THE GOLDILOCKS PLANET, by Curtis Manley and illustrated by Jessica Lanan, a lively description of the search for an Earth-like planet across the vast reaches of space. 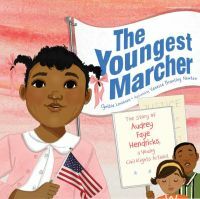 The author was represented by Ammi-Joan Paquette at Erin Murphy Literary Agency, and the illustrator by Edward Maxwell of Sanford J. Greenburger Associates. Publication is set for winter 2019. Huge congratulations, Curtis and team! Parker Peevyhouse’s New Mind-Bending YA Deal! She knocked your socks off with the twisty, smart, and wildly inventive Where Futures End. Now, Parker Peevyhouse fans will rejoice to hear that there are new books on the horizon.—Yes, not one but two books! The first to be published will be the YA thriller Scatterling, a brain-bender about a teen trapped in a time loop and struggling to reclaim both his freedom and his past, as the clock counts down toward an unknown future. The acquiring editor is Ali Fisher and the books will be published by Tor Teen. Hooray and three cheers for Parker! When someone you've known and admired a long while sends you a manuscript for consideration, and it turns out to be fun and thoughtful and fast-paced and marketable, it's like hitting the jackpot. When that manuscript gets an offer on its first submission round, it's like a double jackpot. And when it's a FOUR-BOOK offer, with an editor who really gets it, well, there just are no words for how awesome that is. Erin Stein at Imprint has acquired debut author Kat Shepherd's middle-grade series Babysitting Nightmares, pitched as Goosebumps meets Babysitters Club, in a four-book deal, for twice-a-year publication starting fall 2018. Huge congratulations, Kat! You are on your way! A Wonderful New Novel for Hamilton! I am so excited to make our first deal announcement of 2017, and so excited about this book in particular. LOS DIAS DE LOS MUERTOS, by Kersten Hamilton, is steeped in sense of place—the high desert of New Mexico, a place I love—and is one of those middle-grade novels that makes the reader feel deeply. It involves a small town, La Migra (the immigration police), prejudice, and a promise made to a dead mother. I love the characters and their rich, complicated lives so much, especially Glorieta (Glory), the protagonist, who is a likeable, good-hearted kid beginning to come of age. Kersten is a force of nature, and this is a tour de force! I'm very happy to have her working on this particular book with Rachel Stark of Sky Pony Press, who is herself a force to be reckoned with. It's the agency's first deal with this relatively new publishing house. 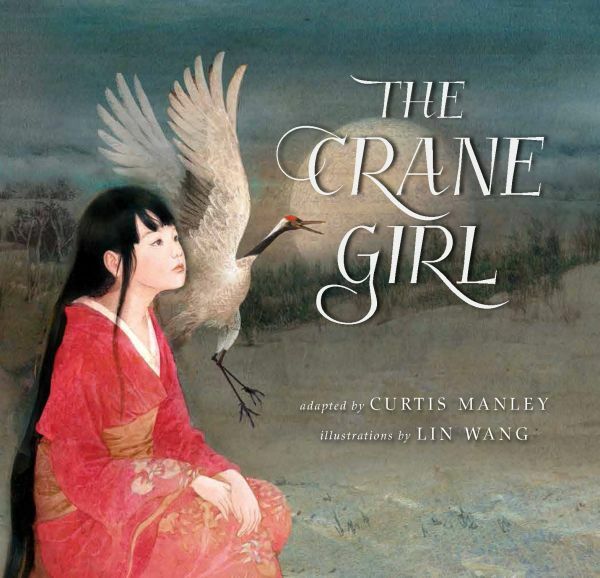 We are so thrilled to reveal the absolutely beautiful cover of Curtis Manley's THE CRANE GIRL, illustrated Lin Wang! THE CRANE GIRL releases March 2017 - see the cover and find out more about it below! While gathering firewood, Yasuhiro comes upon an injured crane hidden in the snow. He rescues and comforts the bird, then watches it fly away. The next night, a mysterious young girl arrives at Yasuhiro's home seeking shelter from the cold. The boy and his father welcome the girl, named Hiroko, to stay with them. But when Hiroko notices that Yasuhiro's father is struggling to earn money, she offers to weave silk for him to sell. After the fabric fetches a good price, the boy's father becomes impatient for more silk, and his greed has a life-changing effect on them all. Lyrical storytelling deftly interwoven with original haiku create a magical adaptation of popular Japanese folktales—an inspirational story of friendship and the power of kindness to transform lives. We're kicking off the new year by celebrating the release of two wonderful titles - MATCH ME IF YOU CAN by Anna Staniszewski and A CRACK IN THE SEA by H. M. Bouwman! Please join us in welcoming these new books into the world. Huge congratulations, Anna and Heather!